I would like to think that I am a bit of a pioneer when it comes to talk radio listening. When doing deliveries for the family business back in the mid 80's, I grew weary of hearing the same BTO songs every day on the "Home of Rock and Roll". It lead me to surf the AM band in search of something different. I came across Bob Yates who held down the afternoon drive on KSTP AM 1500, News, Sports and Talk Radio. Liking what I heard, I started to listen to Don Vogel, the Round Mound of Sound - a blind man doing a radio show. He had a caller who he referred to as "The Phantom Caller". I remember hearing this guy who would call and do this insane narrative about 100 different topics in about 45 seconds. The only one I specifically remember had something to do with going to a diner where the "waitress was drinking corn whiskey out of a dirty distributor cap". Well Vogel's Phantom Caller was a guy named Tommy Mischke, who later partnered with Don for "The Afternoon Saloon". Mischke's brilliance was immediately apparent. He had the raw high energy of an 8 year old after drinking too much orange soda. He was famous for right in the middle of a bit he would pickup a ringing line and say in a low, quiet monotone "Mischke Broadcast". The caller would say "yeah I want to talk to Mischke", completely unaware that they were on the air. One night Mischke does this and it is a lady who thinks that she has called some Sears Outlet Store and is looking for a curtain rod. Mischke makes her think she needs something called an Oswald Rod and politely jacks around with her for about 15 minutes. Classic Mischke. Another time he is talking to this old guy who is all concerned about high school hockey players shouldn't pile on each other after a goal because a skate is going to injure someone. Mischke says didn't you hear? A kid was decapitated today, and the guy in his best Fargo accent says ohhh...no.. Finally the guy gets wise that his leg is being pulled and he says "Is this Butch?" Mischke says "you got me, it's Butch" The old guy seems confused - "You don't sound like yourself Butch" Mischke says flat out "I got throat cancer" And we get another ohhh...no. Mischke says "I'm fine! I just got it a little bit ... just enough to mess up the voice a bit". My greatest talk radio moment was that I made Mischke laugh. He was talking about something and stating it in a very bullet point, line by line fashion, in a very gruff voice. I told him he sounded like a Larry King column "For me, pound for pound there was no greater ball player than Rico Petracelli" he howled with laughter that felt like spring showers raining over me. Every other one of the other half dozen times I called him he hung-up on me, including the time I called to tell him I liked milk. He accused me of being a farmer or knowing someone who profits from milk sales. Yeah. That's how Mischke shows went. His laugh came easy, and was infectious. I have an example of the Mischke laugh. Jim Souhan was talking about Sid Harman with TD and it damn near killed him. 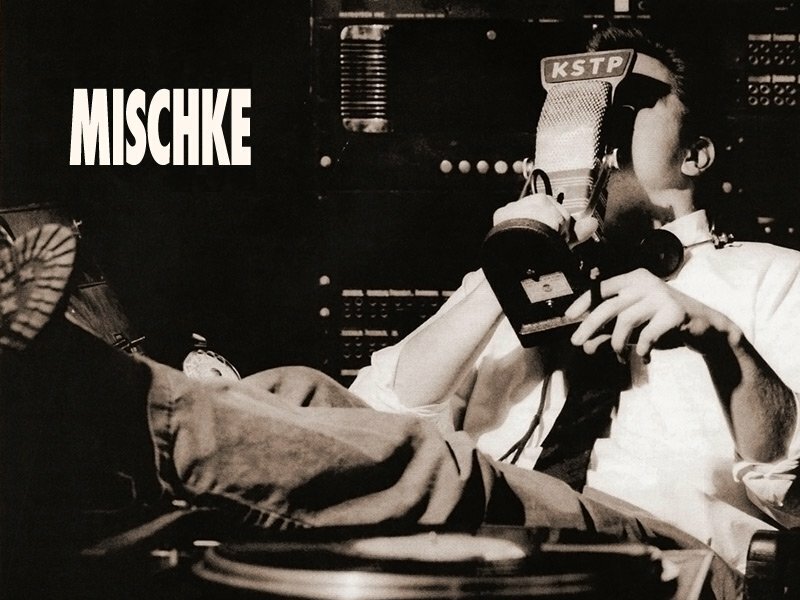 Well KSTP let TD Mischke go right before Christmas. Radio is a fickle business and I am not going to pass judgement on anyone here. I'll just say that Tommy was a true original and he is missed.